SAN FRANCISCO – When the chairman of Indian conglomerate Mahindra announced on stage at a climate summit in San Francisco last week that his $20 billion multinational would slash its greenhouse gas emissions to zero, it came as a surprise – even to the company’s chief sustainability officer. Anirban Ghosh said it had been agreed that only the group’s largest company would strive to become carbon neutral, producing no more emissions than it could offset elsewhere. 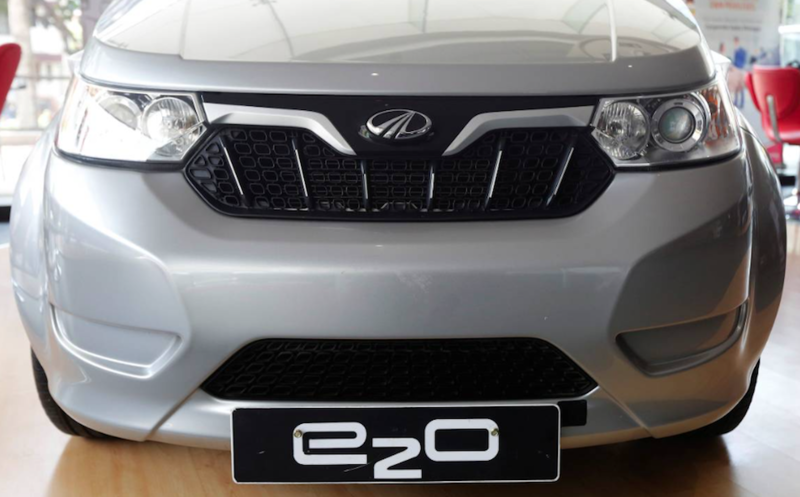 But plans appeared to change in the heat of the moment, said Ghosh, with the chairman promising that all of Mahindra’s nearly 100 companies would be carbon neutral by 2040. “Now, this is not something we prepared for,” the sustainability officer said after the announcement at the Global Climate Action Summit. At the summit – which aimed to give momentum to the fight by cities, regions and businesses against climate change – there is an increasing buzz about efforts to fully eliminate – or offset – emissions. “There’s something great about … the power of zero in focusing minds,” said Jonathan Shopley, managing director at Natural Capital Partners, a London-based company that provides carbon-consulting and carbon-offsetting services to clients. “It’s a concept that everybody gets,” he said at a panel on the sidelines of the summit. Around the world, companies and cities are increasingly setting net-zero carbon goals for themselves as freak weather attributed to climate change spurs them to cut their planet-warming greenhouse gas emissions, experts said. “This is the new frontier,” said Johanna Partin, director of the San Francisco-based Carbon Neutral Cities Alliance, which requires its members to adopt carbon-neutrality targets. At the summit, attended by 4,500 delegates from city and regional governments worldwide as well as industries, promises to achieve net-zero emissions were a major focus. In late August, in the lead-up to the summit, mayors from 19 of the world’s biggest cities, including London and Tokyo, vowed to make all their buildings carbon neutral by 2050. Also, days before the three-day summit, organized by California’s Gov. Jerry Brown, the governor issued an executive order calling for his West Coast state to achieving carbon neutrality by 2045. About 80 cities worldwide – from Copenhagen to Melbourne – have so far adopted a carbon neutral goal, said Partin, though the definition the network uses includes cities committed to cutting greenhouse gas emissions by 80 to 100 percent by 2050. More companies also are setting goals to become carbon neutral, said Bob Perciasepe, president of the Center for Climate and Energy Solutions, a U.S. think-tank. Many aim to do so both by offsetting their emissions by purchasing carbon credits from others who are cutting emissions, he said. But many also are turning to clean sources of energy. Among the large corporations that have pledged in recent years to become carbon neutral are software giant Microsoft and U.S. ride-hailing service Lyft.